The name of the organization is Tallahassee Garden Club, Incorporated, hereinafter referred to as TGC. The corporate offices are maintained at 507 North Calhoun Street, Tallahassee, Florida 32301-1231. Section 1 – The intent of this non-profit organization is to engage the membership in activities that are charitable, educational and scientific within the meaning of Section 501(c) (3) of the Internal Revenue Code of 1954.
b. To instill in both our youth and our community the love of gardening and respect for and protection of the environment. Section 3 – No substantial part of the activities of the TGC shall be for the carrying on of propaganda, or for otherwise attempting to influence legislation (except as may be permitted by the Internal Revenue code without jeopardizing qualification of the TGC as a Section 501(c)(3) corporation). The TGC shall not participate in, or intervene in (including the publishing or distributing of statements) any political campaign on behalf of (or in opposition to) any candidate for public office. Section 4 – The TGC does not discriminate on the basis of gender, age, religious affiliation, physical ability, race or ethnicity. Section 6 – The Tallahassee Garden Club shall adopt and publish standing rules which govern the operation and fulfillment of all responsibilities relative to the TGC. Standing Rules are a complement to, but may not conflict with, these bylaws. Standing Rules as adopted or amended are effective immediately upon affirmative action of the Executive Board vote unless otherwise provided in bylaws or rules. These Standing Rules are authorized in Article II, Section 6 of the TGC Bylaws adopted March 2015. Rules complement, but do not replace or conflict with, the duly adopted bylaws of the Tallahassee Garden Club (TGC). 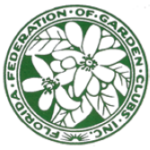 Affiliated with both the Florida Federation of Garden Clubs (FFGC) and National Garden Clubs, Inc. (NGC), TGC may work diligently to inform and support charitable, educational and scientific issues that would further the knowledge of members and the public. TGC is an issues-oriented organization that does not oppose, support or endorse individual candidates for any local, state, or national office. Campaign signage or appearances at the Garden Center, or monetary contributions from TGC’s treasury are strictly prohibited. Individual members are encouraged to fully participate in the democratic process for local, state, and national elections with their individual time, talents, and fiscal support but may not suggest, nor imply, any endorsement, opposition, or support from TGC when doing so. Only those who have paid the appropriate membership dues in a timely manner may claim to be, and be recognized as, members of TGC. Becoming a member of the Tallahassee Garden Club is easy, just fill out the application form and send it in to the Membership Chairperson, 507 North Calhoun St., Tallahassee, FL 32301. The Tallahassee Garden Club was organized in 1926 and is a member of the Florida Federation of Garden Clubs and the Deep South Region of National Garden Clubs. The Tallahassee Garden Club currently has 25 garden circles and over 600 members.